I’m up to Bridge in the reading list, having just finished War, and this has just been released. It’s no secret by now that I Love Revik…he’s just so…I don’t know, there’s just something special about him. He’s not in any way perfect, he’s got flaws, make mistakes, gets things wrong and yet I can’t help feeling that he’s at heart moral, honest, has true integrity and his love for Allie transcends life and death. 🙂 I need an I heart Revik T shirt!! This picks up just after he’s left the Rooks, after he met Kali and she told him he needed to leave. What she said just resonated with him, and he managed to escape the Rooks, something almost unheard and now he’s been in Pamir with the monks while they try to untangle the mess the Rooks made of him. Five years, seems a long time to me, but to a Seer with their long lives it’s very different. Then the Adipan appear. It was great to meet Balidor, and get to see how he and Revik interact in the early stages. So much of this book shows just how each group differ, how what’s happened to Revik puts him on a different emotional level with the others, its as if they’re speaking a different language to him at times, when he just doesn’t understand what they want of him, what they are telling him, and here it led to a really embarrassing awful scene for him, which had some dramatic consequences. Then just as he seems to be on a keel, things get thrown out of balance for him yet again. It’s a good job he can have such a long life! Once again another riveting read, full of info that adds to the overall series. Poor Revik feels so isolated in this book, hated by the Rooks for leaving, hated by the others for having been a Rook. At least that’s his take on it and TBH he doesn’t really trust himself, so he doesn’t see why anyone should trust him. It’s a great read but a sad one. 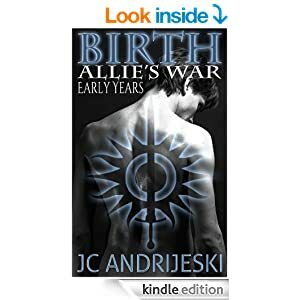 At some point I want to go back to book One, to where Allie and Revik first meet, ( well, to where she first meets him, he’s been watching her for years) and see if I have a greater understanding of events now I know so much more about them. I’ve reached a better feeling about the whole Seer/longlife/light and construct thing now – in the early books I really struggled, but now when I read I just seem to have an inbuilt acceptance and understanding of how it applies, of how so much odd stuff is just part of Seer nature, instead of always comparing it to what I know – ie human stuff. Stars: five – of course!